A space heater can cut the chill on a cold winter day. 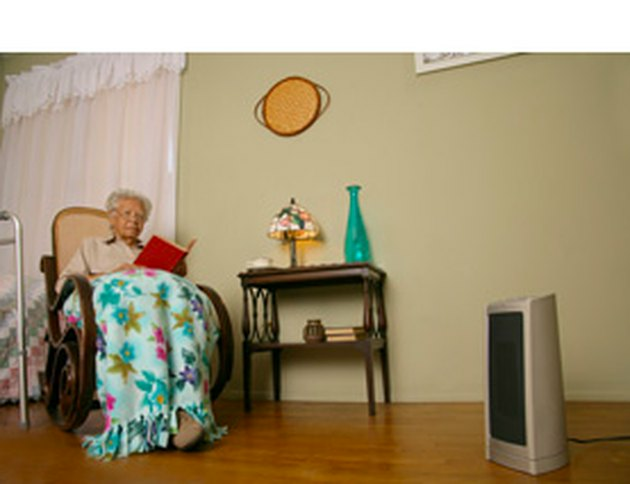 Space heaters are most typically used to provide supplemental heat when central heating sources aren't sufficient, or when a space that is not served by central heating needs temporary heat. For residential applications in the U.S. and Canada, nearly all space heaters are powered by electricity. The electrical current that is consumed will depend on the amount of space you have to heat as well as the amount of time the heater and its efficiency. 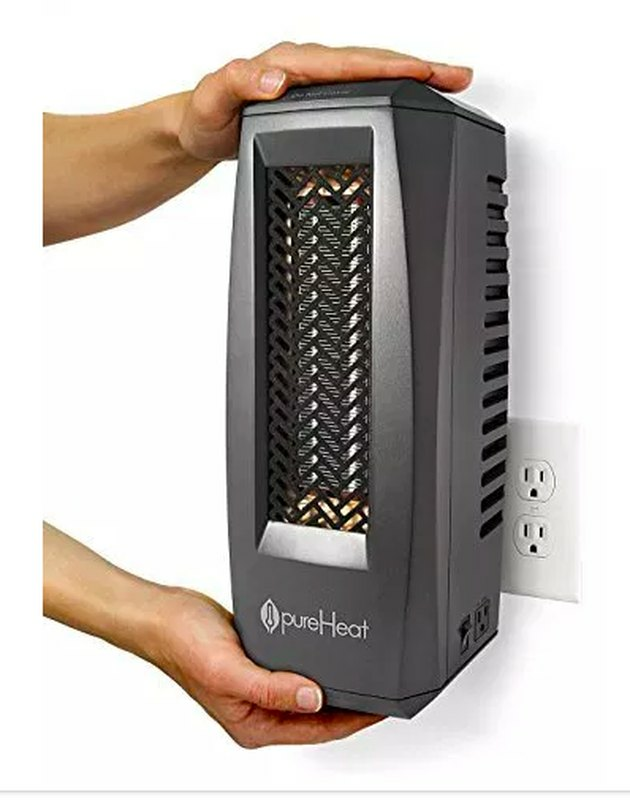 Fortunately, electric space heaters have gotten significantly more efficient since the days when they were little more than boxes with red-hot glowing coils. Modern heaters employ a number of technologies to increase efficiency as well as safety, which is extremely important. 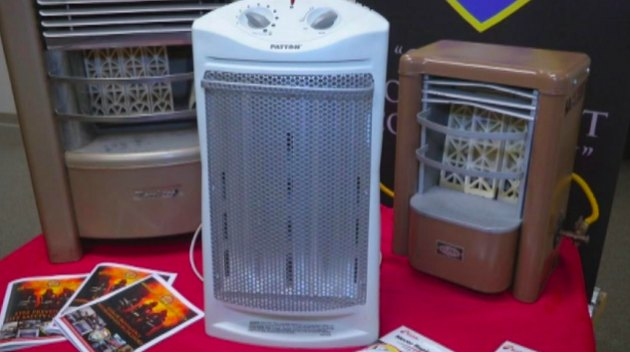 Space heaters are responsible for two out of every five residential fires involving heating equipment, according to 2017 data from the National Fire Protection Association. Safety should be high on your list of priorities when shopping for a new space heater, but in the end, what you really want is warmth at the best price possible. If elegance of appearance is high on your list of priorities, you may have to pay a bit more up front for your space heater, but you will have several options. Most space heaters available in North America are electric. People who live in Japan have space-age toilet seats and 660 cc automobiles, and they also have efficient, odorless heaters that burn kerosene. You may be able to find kerosene heaters for residential use in North America, but like tiny Japanese cars, they are a rarity. For the most part, Americans and Canadians rely on electricity for space heating. When shopping for a heater, you'll come across three basic types: convection (of which there are three different types), infrared and micathermic. A convection heater is one that heats air, with the heat then moved around the room by the basic thermal properties that cause warm air to rise and cool air to sink. Among designs for convection heaters there are fan-assisted resistive heaters, ceramic heaters and oil-filled heaters. The coil heater of the mid-20th century is still alive, but in today's heaters the coils are better protected and the unit usually has a fan to circulate air. Wrapping the coils in a ceramic casing increases the heating efficiency by distributing the heat over a wider area so the fan has more hot air to deliver. Oil-filled heaters, which usually look like radiators, rely on natural convection rather than a fan. In these designs, a resistive element heats a reservoir of mineral oil, and the heat from the oil rises, drawing cold air behind it to create a current that gradually heats the entire room. Infrared heaters radiate heat directly rather than relying on air currents to carry it. The heat comes from a bulb and a reflective plate that focuses and intensifies the infrared radiation from the bulb. Infrared heaters warm everything in the room, not just the air. They often come in wood cabinets, and some even display images of a crackling fire to add a visual impression of warmth. Micathermic heaters are fairly new on the market. They also have resistive heating elements, but they are smaller than those found in conventional heaters and are encased in mica—a naturally occurring mineral with a high heat capacity and the ability to emit electromagnetic radiation when it gets hot. Micathermic heaters provide about 80 percent of the heat by convection and the remaining 20 percent by radiation, so you get the best of both worlds. They are flat, thin and elegant, and are available as standalone or wall-mount units. Micathermic heaters work well in any environment. Most standard 120-volt electric space heaters draw 1,500 watts of power when they're on the highest setting. On some models, you can choose lower settings that draw 600, 800 or 1,000 watts. If you use a heater on its highest setting for 8 hours a day and you pay the national average for electricity, the heater adds about $36 a month to your electricity bill. You can reduce the amount of time the heater needs to be on by sealing doors and windows to eliminate drafts. This is especially important if you use a convection heater, which relies on air currents to distribute heat. Some rooms are just drafty, though, no matter what you do. If the room you want to heat is one of those, you're better off with an infrared or micathermic heater. Electromagnetic energy, like heat from the sun, warms everything in its path, not just air. Besides a power setting, many heaters have remote controllers and programmable timers that allow you to fine-tune your heater usage. Some can even be programmed from your mobile device. Look for these features if budget is a priority. You may pay more upfront for a heater with all the bells and whistles, but you'll probably earn that back after a year or two of use. Small is beautiful when it comes to space heaters. A general rule of thumb is that heating a room requires about 10 watts of space heater capacity for each square foot of floor space. A standard heater operating at its maximum 1,500 watt setting can heat a 150-square-foot room. This is merely a general guideline, since much depends on the draftiness of the room, which is a function of ceiling height. The heating efficiency goes down by 25 percent for every 2 feet of ceiling height over and above the standard 8 feet. Poor insulation, unsealed doors and windows, and gaps behind baseboards also cause drafts. 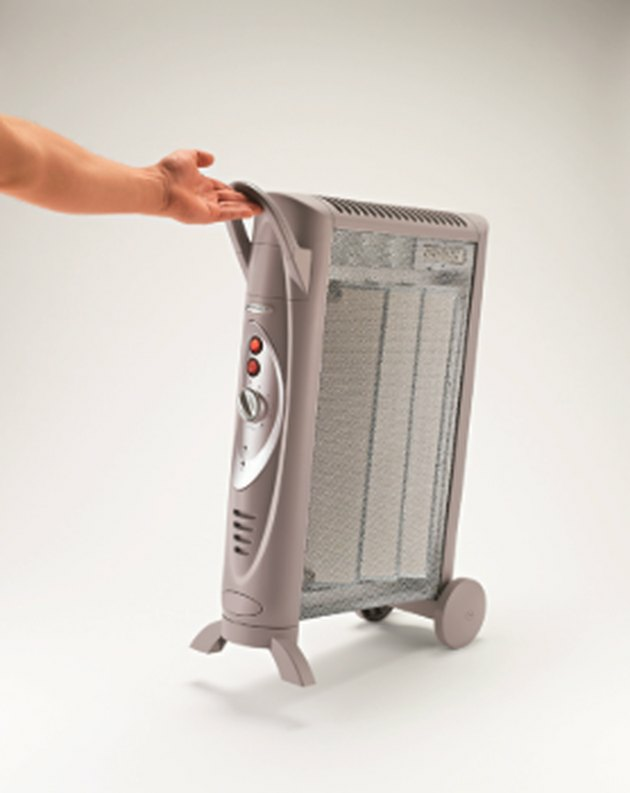 Space heaters are not a cost-effective alternative to central heat. To serve as the sole heat source, at least two heaters are necessary to heat any moderately drafty room that is larger than an average bedroom. For a house with an open floor plan, you might need four or five space heaters in order to feel comfortable everywhere. On the other hand, a space heater shines when it serves to supplement central heat. A personal space heater doesn't have to run at full power to be effective, and it may be just what you need to feel toasty warm on an especially cold day. 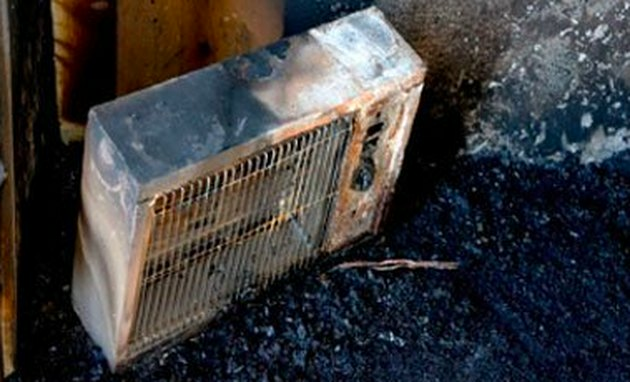 Space heaters can and do catch fire. Any flammable item that comes in contact with a resistive coil glowing with 1.500 watts of electricity will catch fire, including curtains, carpeting, and furniture. There are a number of safety features you can look for that will make a space heater safer. These are not standard features, however, so you need to look for them specifically when shopping. Some heaters have an idle function that shuts off the unit whenever something lingers in front of it for more than a few seconds. That's one of the more exotic safety features, but it is a great one to have. A more common feature is a temperature- sensitive switch that shuts off the heater if it overheats. You'll be glad you have this feature if someone pushes the heater into the gap between the couch and easy chair and it doesn't have enough ventilation. Instead of catching fire, the heater simply shuts off. Another important safety item is a switch that turns off the unit unless it is seated firmly upright on the ground. With this feature, if a pet or toddler knocks over the heater, it will shut off instead of setting the carpet on fire. Timers not only help control electrical usage, but they can improve safety by turning off your space heater automatically if you accidentally leave it unattended.